The number of white rhinos left in the Kruger National Park is becoming a hotly contested issue, and will come under scrutiny in a High Court case about lifting the South African moratorium on trade in rhino horn next week. Official numbers of white rhinos in the Kruger stand between 8 000 and 11 000, according to their surveys. However, Dr Kobus du Toit, a rhino expert, wildlife veterinarian and biologist, says these numbers are impossible. According to Du Toit, there are more than 1 500 but less than 3 000 white rhinos left in the park, and he challenges any ecologist to refute his figures. Du Toit, a respected wildlife veterinarian who specialised in the capture and translocation of large wild animals and pioneered the commercial breeding of rhinos for sustainable horn production, recently released a book titled The Story of the White Rhinoceros. In it he reflects on the history of white rhino populations in the Kruger in the 1900s. According to historical evidence, the white rhino population was extirpated in 1896. Stocks were reintroduced from the then Hluhluwe-Umfolozi complex in KwaZulu-Natal between 1963 and 1974. The relocation project proved successful and the Kruger’s rhino population steadily increased. Based on this information, together with historical evidence of top-ups, additional introductions and capture removal across the park, Du Toit calculated the current number of white rhinos using a normal mathematical growth formula. Births and natural mortalities were considered, resulting in a net growth of the population that was never more than 8% in the past. These results are drastically less than official figures issued by South African National Parks (SANParks). Du Toit says the implication for conservation is that the Kruger should not risk selling 1 000 rhinos to the private sector, as it intends doing, particularly if there is no guarantee the sold rhinos will not be hunted. Currently, the private sector owns an estimated 45% to 50% of white rhinos in South Africa, he says. Rhino poaching has been escalating since 2010, when 333 rhino were poached across South Africa. In 2014 at least 1 215 rhinos were poached countrywide, 827 of them in the Kruger, according to official figures released by the Department of Environmental Affairs. Determining numbers is becoming less feasible since the department decided earlier this year not to release official figures on a monthly basis. The last official figures, released by the department at the end of April 2015, specified that 393 rhinos had been poached nationally, 290 of them in the Kruger. SANParks head of communications Paul Daphne contested Du Toit’s figures. He said regular counts were conducted of the white rhino population in the Kruger and the most recent was in September 2014. “The results of the 2014 survey provided an estimated 8 001 to 9 290 white rhinos in the Kruger as a whole. The previous survey, conducted in 2013, produced an estimated 8 400 to 9 600 white rhinos in the park,” he said. The rhino counting methodology used by SANParks involves dividing the park into randomly selected blocks. White rhino numbers are then counted by helicopter and extrapolated to the park as a whole. The different modelling techniques and numbers will be part of a civil court case scheduled to be heard in the Pretoria High Court from June 15 2015. The case will see private rhino owners challenging Molewa to lift the current moratorium on trade in rhino horns in South Africa. 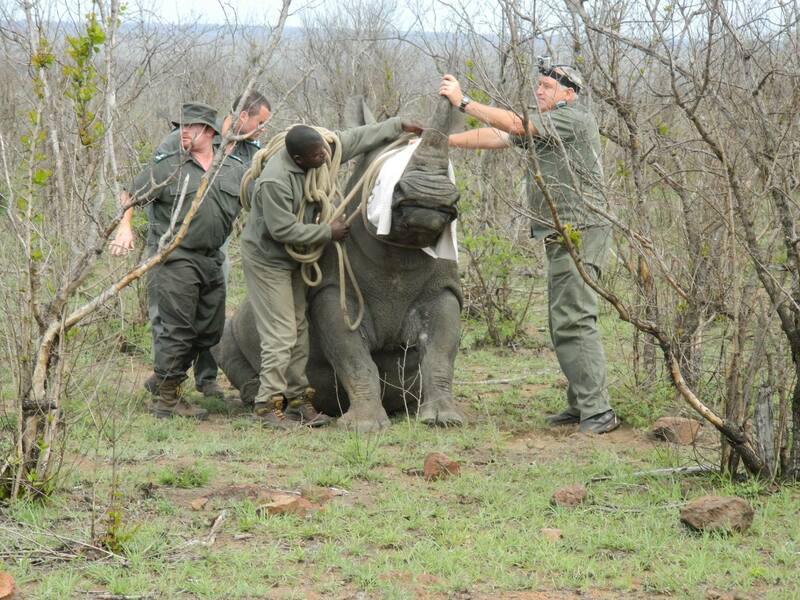 The case was originally instituted by Limpopo game farmer and rhino breeder Johan Kruger in 2012. Kruger and other private rhino breeders are expected to argue that the South African moratorium is unconstitutional and needs to be scrapped in anticipation of the global conference of parties to be hosted by Cites (Convention on International Trade in Endangered Species) in Cape Town in September 2016.